During my quest for unearthing more knowledge about the current state of our local fisheries, one subject seems to have been flagged up by different individuals on several occasions. It’s a highly emotive and contentious issue and one, which considering the socio-economic pressures affecting our U10m fleet around our coastlines, I felt duty-bound to explore. A couple of months ago whilst interviewing Bill Pinney on the economic and commercial pressures he faces as an U10m owner/skipper (see “Is There a Catch”), I realised very quickly, that the fishermen of that particular class, although handsomely equipped with knowledge, gear and expertise, are caught in a state of limbo every month, which is manufactured outside of their control, by meagre catch limits and blanket policies that don’t reflect the local and diverse nature of the fishing grounds they operate on. Recently I spoke to Bill again, to flesh out in more detail just how depressingly uneconomic the job is. In the case of Cod (Gadus morhua), a species enjoying a productive resurgence in all parts of UK waters and accelerating quickly towards its MSY (maximum sustainable yield), the inshore fishery recently has been a frustrating arena in which to operate. It’s now manifestly clear to those who put to sea on a regular basis whether longlining, bottom drifting, seining or trawling, that this particular species is there for the taking on a sustainable and responsible basis and should be affording them an income commensurate with their effort. Not so. 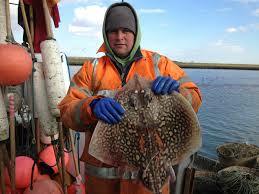 The monthly catch limit for our Suffolk (North Sea) U10m fleet stands, at the time of writing, at a paltry 500kgs. Basically, this equates to (if the fishing is good), about two day’s longlining work for a landable figure of only 425kg once the fish have been gutted and that weight subtracted. Factor into that then, the current price that someone like Bill Pinney is getting at auction at Lowestoft Market, a drive of 35 miles to the North, and after he has sold his fish for a miserly £1/kg, then taking fuel, bait and labour into account, it doesn’t take Stephen Hawking to work out, that a return like that, for the effort involved, makes longlining look a complete and utter waste of time. A real shame for one of the least harmful and most environmentally benign fishing methods we employ. Even more ridiculous, the Skate (Roker) fishery where the North Sea (Area IV) monthly limit is now set by the MMO at an incredulous 150 kg/month or in local fisher parlance that’s 25 stone and a days work. A disturbing fact when the Skate populations appear to be in such numbers, that local anglers frequently catch them whilst beach fishing. One of the most endearing and enduring features about our inshore fishermen though, is their ability to react to changes, both seasonally and economically and to fish opportunistically by selecting gear, bait and other techniques that afford them the chance to target a different species, on an occasional basis, which then supplements their base monthly income derived from Cod (Winter) and Soles (Summer) for example. 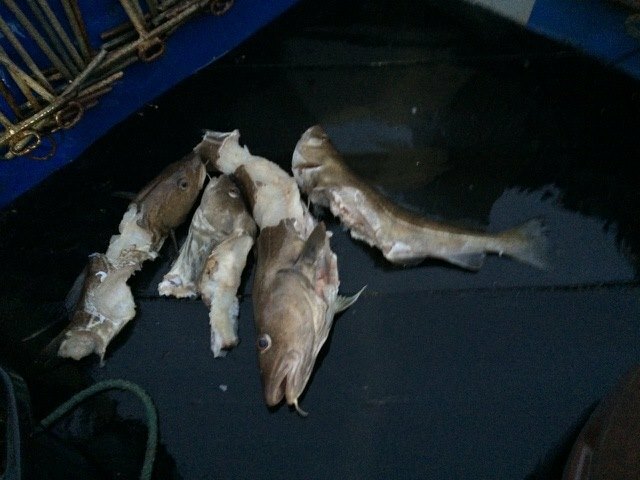 One excellent example of this type of reactive and specifically targeted fishing was that of the Spurdog (Squalus acanthias) or Spiny Dogfish which provided fishermen, not just in Suffolk , but around the UK a positive seasonal income boost. A relatively slow to mature, but valuable food species sold under the guise of “Rock Eel or Salmon” the Spurdog was indeed caught in large numbers historically, by various means (Lining/Trawling/Netting) placing inordinate pressure on the their sustainable biomass and leading to the species being brought under quota management in the late 1990’s. Since 2011 a zero quota has been enforced and the species appears now under MMO ruling as having a zero Total Allowable Catch (TAC). The restrictions placed on the fishery have evidently worked, as Spurdog numbers have now pleasingly staged a resurgence, although not yet back to the heady and multitudinous numbers that engorged nets and swamped decks back in the 70’s and 80’s. Dr Jim Ellis, a marine biologist at Cefas (Defra’s Centre for Environment, Fisheries and Aquaculture Science), is quick to assert that the Spurdog decline, although halted, would still take decades to recover fully. “Management measures started to be restrictive in 2007” remarks Dr Ellis, “and since the zero TAC has been in place, Spurdog numbers do seem to have stabilised.” A welcome and gratifying sign indeed that once again a well-managed joint approach by science and industry, is paying a dividend. So just how numerous are these once profitable food fish and are they relevant in an inshore fishery that is struggling to pay its way? 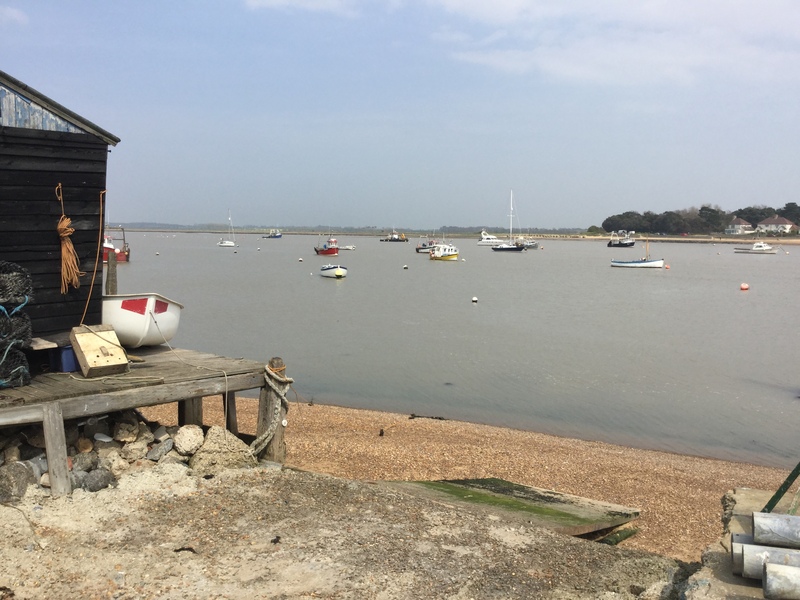 To glean further insight into the real-time situation afloat, I visited the picturesque and iconic Suffolk fishing hamlet of Felixstowe Ferry, where the Butters family have been fishing from for the last 60 years. 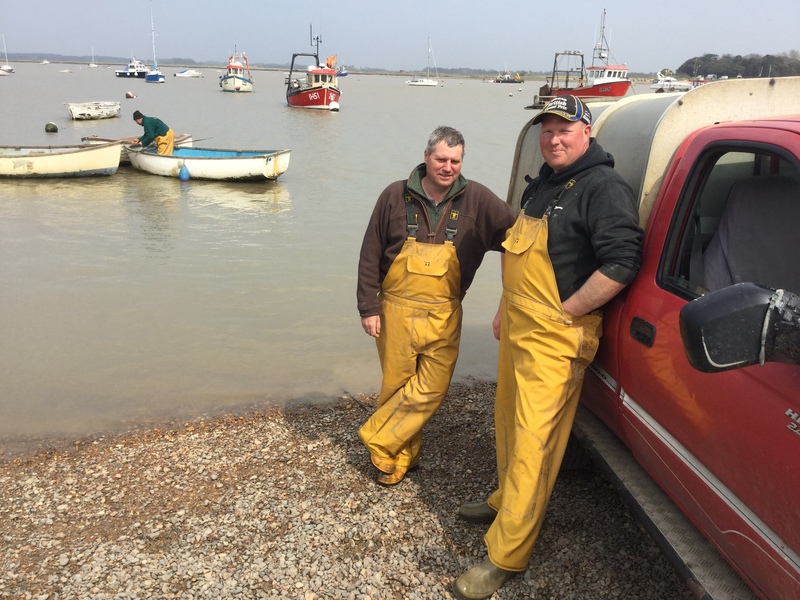 Brothers Ed and Rob now operate the business out of there, working the Suffolk coastline within the 12 mile limit from their two Under 10m boats. I was obviously keen to hear of their views on Spurdogs and whether they were seeing increased numbers as suggested by Dr Ellis ? Within seconds, the two have keenly relayed recent observations and it’s all too apparent that the issue has presented them with a significant set of problems. I enquire as to the “damage” and Rob cuts straight to the chase, providing me with a recent and most graphic image taken of fish that have been “savaged” by the marauding packs of hounds. It’s a galling picture, and Rob, feeling evidently passionate about his experience and the need to do something about it, explains in more detail how else it affects them. I’m reminded now of the £1/kg for cod quoted by Bill Pinney and the further costs involved before the fish actually appear on a plate. Dr Ellis too, states that the low incomes and lack of ability to land Spurdog work against the inshore fleet, but a managed approach for longlining may be useful to consider. I can see that science and practice are concurring on this issue and it’s exciting to think that with the right evidence and real-time data provided, policy makers have an opportunity to integrate local and scientific knowledge into tangible and workable decision-making that actually reflects what’s happening at ground level. Terry Wightman, Suffolk veteran longliner for 60 years and self-styled “Dog-Hunter” agrees that a lifting of the zero TAC would be very welcome, but being a man with a profound knowledge and experience of catching Spurdog all over the southern North Sea from Aldeburgh to Grimsby, he recognised long ago that populations are also very sensitive to external influences. Terry also directs me to the increase in North Sea Lobster, Crab and Whelk effort on the same grounds in the last 30 years. “We noticed” he continues, “that fleets of boats up and down the East coast were sticking hundreds of tons of rotten fish bait into the water every year in their pots and that affected the ‘Dogs- they just don’t like it and they move on, not wanting stay in that sort of water. 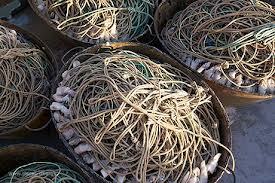 The controversial Dutch “pulse trawling” method also gets a mention insomuch as the electrical fields produced may have recently had a local knock on effect for sensitive fish such as the Spurdogs, in areas where it is practiced. A considerable fount of fishery knowledge, Terry is truly a mine of information and experience which is impossible to question. At the back of my mind though, is one niggling query to which the answer still fully lies beyond the horizon. In 2016 the Demersal Landing Obligation (LO) comes into force in a phased approach for different species. Fishermen are rightly wary of the approach and although the desired outcome is laudable, its implementation will doubtless come with its own set of issues. One that has already been reported within the industry is that of “Choke species” and their effect on how fishermen of all classes continue to operate. More wise words come from Barrie Deas, Chief Executive of the National Federation of Fishermen’s Organisations (NFFO). ” The LO will rid the industry of fishing day restrictions and will see the end of fishing effort control. Although coming into force in 2016 for Demersal (bottom-feeding) species, it’s phased approach will bring in one species at a time so the process can be stringently monitored. Haddock is likely to be first in the North Sea with other species following suit in the ensuing years. As quotas will still apply, once one species has been landed and that quota exhausted, then the fishing of it has to cease and another target sought, but in a mixed fishery, that’s potentially problematic, as the catch with no quota left will then “Choke” the rest. This could prove an issue for the longliners, I surmise. If Spurdog, although perhaps a “prohibited” species by then, has to be landed under the terms of the LO, then with no quota, live discards suddenly convert to dead discards and that’s senseless for a fishery using longlines. Better still as Dr Ellis points out. This he suggests, might imply that some form of bycatch fishery could be considered. A long way to go though. But the seeds of something could be there. Let’s hope so for the sake of our inshore fishermen like Rob and Ed. They desperately need sustainable and seasonal catch opportunities to assist their cash flow. A renewed Spurdog fishery for them, would go a long way to facilitate that. And from a personal point of view, I’d love to see proper Rock Eel back on the slabs. The biggest problem with Spurdogs hasn’t been caused by the fishermen but by the government. Because there was a blanket ban on dogfishing imposed back in 2007/8 the whole of the supply chain was lost. No supply led to the proccessors folding and the markets being lost. Even if, and when a TAC could be set there would be a certain amount of time that the fish would still make no money until the market is redeveloped and new proccessors come in to play. The information from the fishermen is that there are dogfish everywhere but the science doesn’t keep up with the actual day to day observations from the men at sea. Showing eaten Cod for example is a good sign but if the dogs are eating the Cod then they would also be taking the bait and being caught. You give no mention of the fish being ‘knocked’ off and discarded in your piece, that would prove the fish is there. I owned 2 of the largest longliner vessels in the UK and once the government put a total ban on dogfish my businesses were finished along with many others who had invested a lifetime of hardwork and cash into building a future. The politicians who make the decisions still pick up their monthly cheque while the real working people of this country go hungry through no fault of their own. 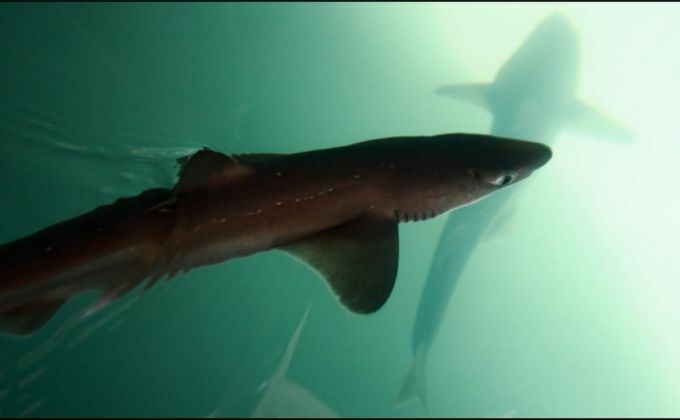 We on the East coast U.S. heard the same doom and gloom “it’s going to take centuries to rebuild” on spiny dogfish (same species, Squalus acanthias) from our scientists/managers to justify a moratorium that the anti-fishing ENGOs were pushing. They got a moratorium and the stock rebuilt to the point that they are now officially classified as not overfished with no overfishing occurring and the fishery has been reopened though with a dismally small TAC. Rather than the decades that “officialdom” predicted, this took place in a decade or so. For more information see http://www.aifrb.org/2013/09/towards-rationality-in-fisheries-management/ and also the web coverage of a dogfish forum in organized a few years back that is linked at the bottom left of my FishNet-USA website (http://www.fishnet-usa.com). Many thanks for this information. It all helps build a more global picture of the stocks. I’ll definitely look at your website and would be happy to keep in touch. 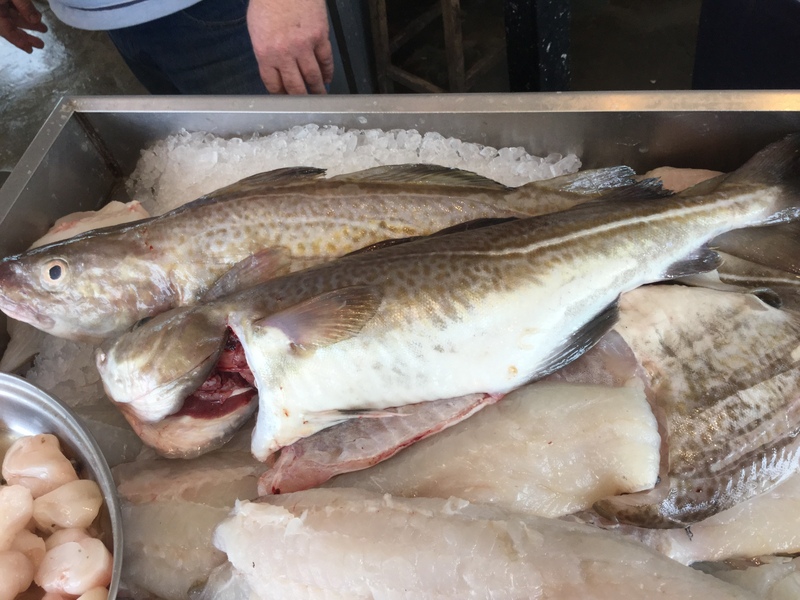 We are seeing the same picture of stock resurgence in the North Sea with Cod and Haddock which are now in greater numbers and class size than the skippers have seen for years. Fishing innovation and reduced overall catch effort has ensured that the NGO’s are misguided in their propaganda and that many of their preconceptions are unfounded. If you’d like, I’ll add you (and any of your readers who are interested) to the FishNet-USA email distribution list. If so, please send me your name, affiliation and email address. Of course thank you that’d be great.